A lighter hand cream with the same delicious fragrance as our classic holiday soap, Snowcake, Smitten is made with natural oils, calming chamomile and beeswax to protect the hands from extreme weather or nourish them when they need it most. Use it regularly for soft mitts. 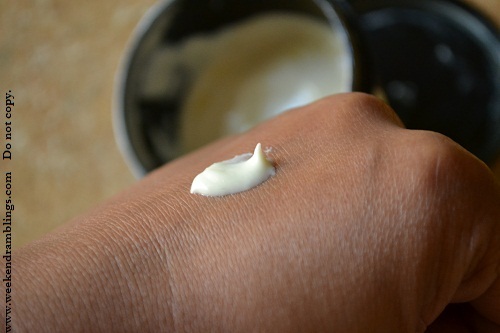 I am always on the look out for some nourishing cream to use for my hands but don't usually buy something labeled as a "hand cream." 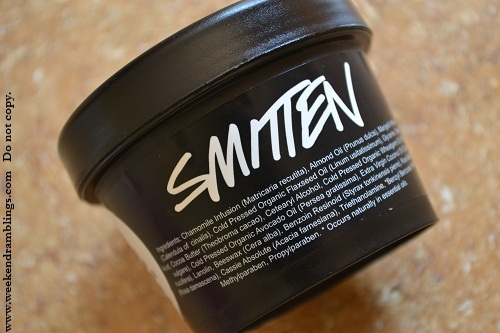 I bought the Smitten Hand Cream on an impulse the last time I was at the Lush store (and met Priya there :D :D). 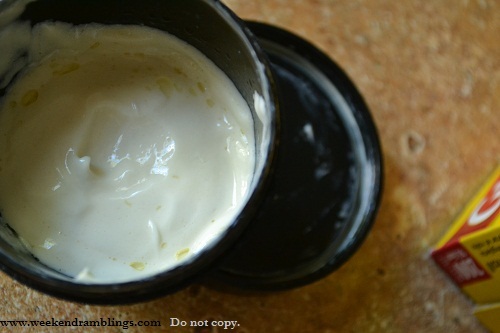 This is a light cream with a pale yellow tinge to it and smells strongly of almonds - marzipan (?) 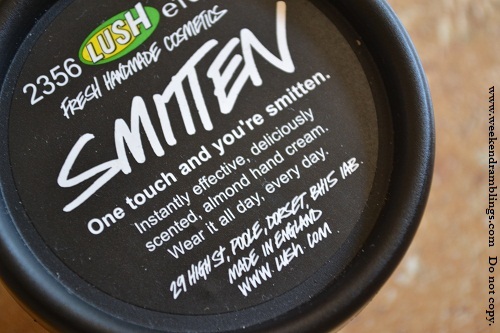 - and as Lush says, it really does smell like the Snowcake soap if you have used that one. in smell or quality-wise in any other obvious way, though. The bad - not the best for carrying around in your bag. 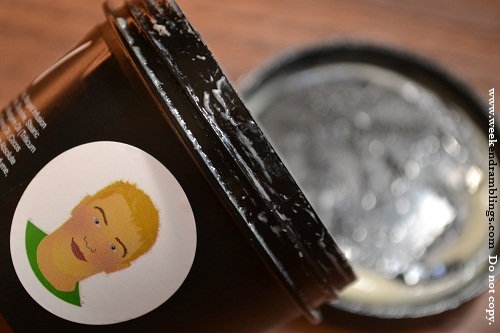 The cream leaks out on the edges and even if there is no accident/spill in your bag, it would be extremely messy once you open the tub. 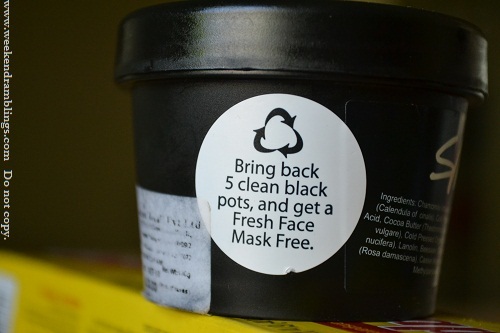 The good - return 5 black pots and get a face mask free (in India it's about 70 g mask of your choice free - provided it's available in store, of course). 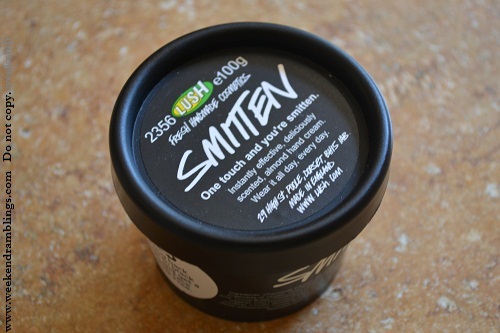 Overall, Lush's Smitten is a better option for anyone looking for a light hand cream and those without too much of a dry skin problem. This cream does last really really long time - quantity wise - though I am not too sure about the shelf life. I bought this tub only about 3-4 months back, but I forgot to check the manufacture/expiry date before buying. Cost: $17.95 (In the US, this is sold in a white tub - retro packaging). Lush India - Rs. 650/100 g.